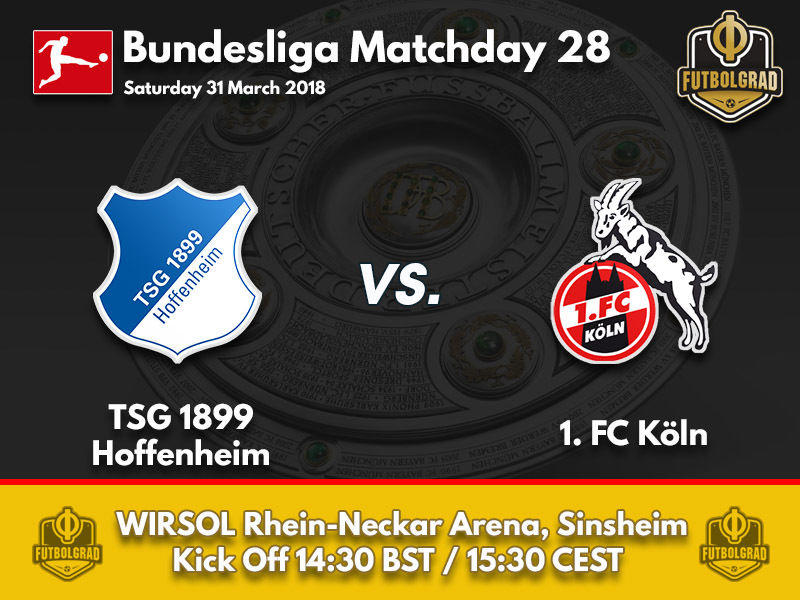 For the away side, Hoffenheim vs Köln signifies the start of seven ‘cup finals’ to save their Bundesliga status, whilst the hosts need all three points to keep alive the dream of European football in Sinsheim next year. With only seven Matchdays remaining, this fixture has the potential to be season defining for both clubs. Julian Nagelsmann is one of the most lauded young coaches in world football currently, and with good reason. Taking the reigns at TSG in the February of 2016 it was seen as a rebuilding move with the 99’ers seemingly destined for the drop. For the then 27-year-old, relegation wasn’t something he was focused on, and he remarkably led the side from Sinsheim to safety. Following this up with a fourth placed finish in 2016/17 and an all important UEFA Champions League playoff. As with any young man plying their trade, Naglesmann had to learn on the fly – crashing out of the Champions League to Liverpool, his TSG side were then exposed in the Europa League. Wining only one fixture of their six group games – victory against İstanbul Başakşehir a solitary high point. However, European football is all about experience and Hoffenheim had received a baptism of fire. Should the side from a small town wish to dine once again at Europe’s top tables they will need to put together a season finale run of form. Having not featured in the Bundesliga’s top seven places at all during 2018 their European fate may hang in the hands of the DFB Pokal winner – something SC Freiburg benefited from last season. If the hosts can navigate this tricky fixture against a team fighting for their top flight lives, it is swiftly followed by three tough fixtures in the weeks to come – locking horns with fellow European hopefuls. Should achtzehn99 fall at home to Köln their future could well be in another’s hands – something the enigmatic Nagelsmann will be keen to avoid. Köln’s season has been littered with accounts of ‘one step forwards, two steps back’. Winless until Matchday 17, the Billy Goats followed up a wonderful short run of form with narrow defeats to Dortmund and Frankfurt. Their approach to survival has been exceptional – motivated and determined to play football they have been a joy to watch, even if lady luck hasn’t been on their side too often. A two-nil win on the last Matchday, against high flying Leverkusen, has given the side from the banks of the Rhine a renewed hope of survival. Their shock victory enabled die Geißböcke to leapfrog HSV and, for the first time since August, Köln left the bottom of the table. With Hamburg, Mainz and Wolfsburg looking dejected, Köln seemingly look favourites to pull off the greatest escape of all time. To do this they will have to approach their remaining fixtures as individual ‘cup finals’. With games against Mainz and Wolfsburg to come it could just be that Stefan Ruthenbeck’s side pull off their Mission Impossible. 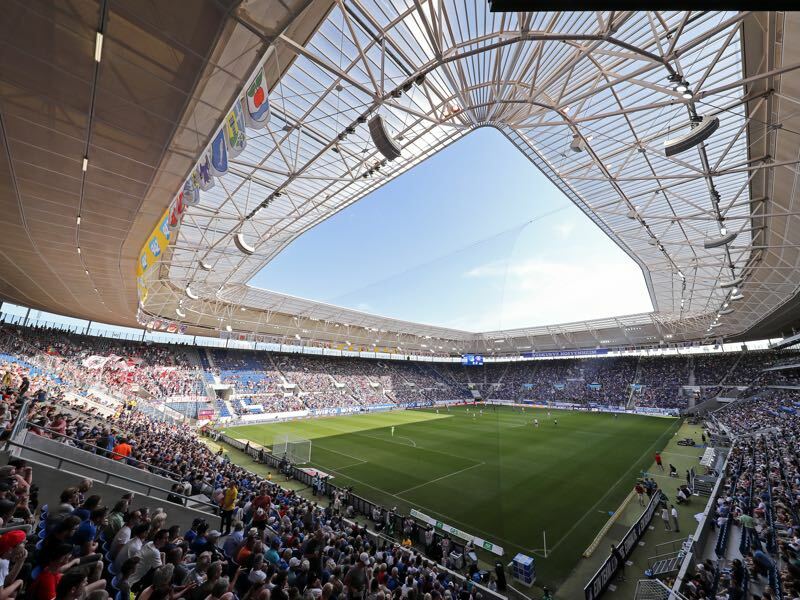 A season that started with so much promise – including a return to European football for the first time in 25 years – can still be rescued, but it will take victory at Hoffenheim to start to turn their annus horribilis into an annus mirabilis – a story that would be passed from generation to generation for as long as there is football within the city. The native of Köln could be their destroyer if not policed well by the visitors. With 13 goals and five assists in 32 fixtures, the 26-year-old has shown he is now in his prime. Seen below scoring against Bayern he has also found the next in both the Champions League and Europa League. Agreeing a move to Schalke in the summer, his January pre-contract with the Gelsenkirchen Royal Blues was a blow for the Sinsheim side. The attacking midfielder is equally at home when deployed as a central forward, adept at finishing he can also unlock any opponent with a devastating long ball – or breakthrough tight spaces with a display of exquisite one touch football. Having found themselves locked to the bottom of the table, with no replacement of Anthony Modeste to be found, Köln looked to VfB Stuttgart’s Terodde to solve their problems in the January transfer window. No-one could have anticipated his impact, powering the Billy Goats to back-to-back victories in his first two games. 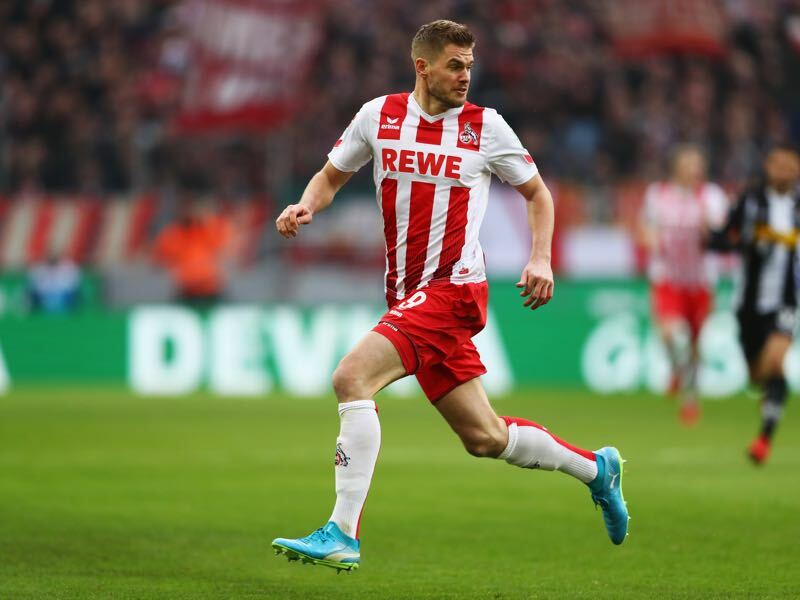 Absent for the fixture against Leverkusen, the return of the 30-year-old will be a boost for Ruthenbeck as he looks to keep Köln in the top division. Devastatingly accurate in the air his power is something die Geißböcke will look to exploit – not just in this game but until the end of the season. TSG won last season’s encounter 4:0, whilst the reverse fixture November saw the 99’ers win 3:0 in Köln. Last season’s 4:0 was Köln’s only loss in their last six visits to the Rhein-Neckar Arena. Köln’s victory versus Leverkusen lifted them off the bottom of the Bundesliga for the first time in seven months. 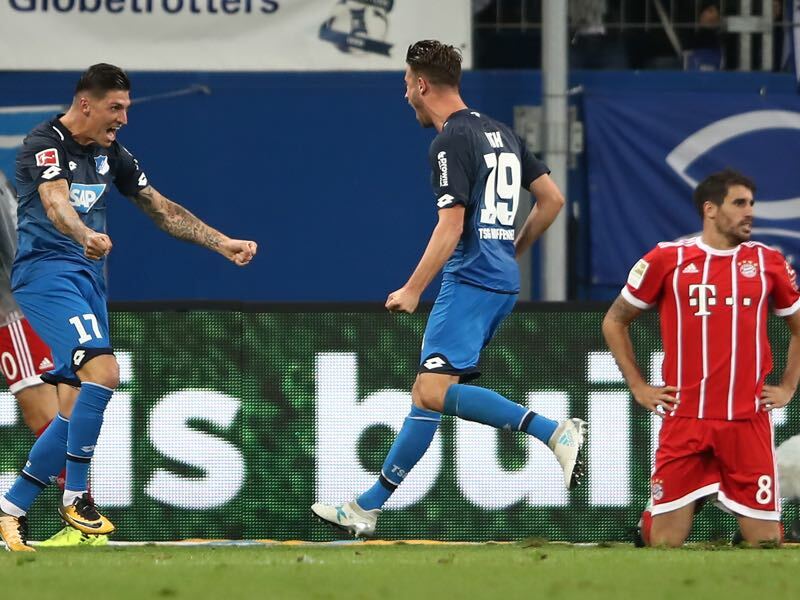 Hoffenheim are unbeaten in their last four matches.